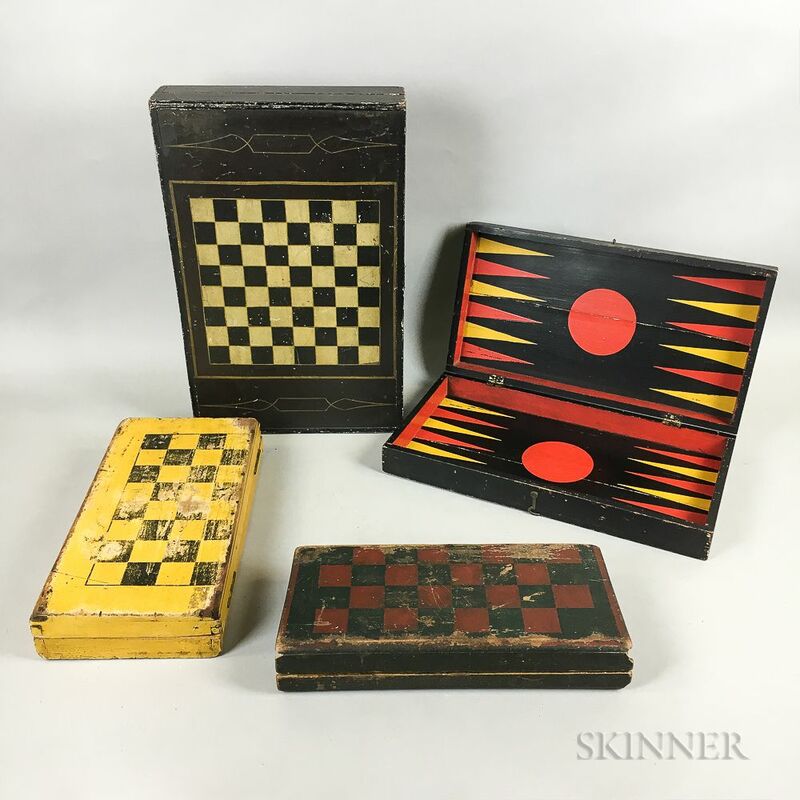 Four Polychrome Painted Wood Folding Game Boards, wd. to 20, dp. to 12 3/4 in.